Paris, where you only need to stroll and dream and do no sightseeing at all, is nevertheless all the richer when seen through the eyes of insiders. Guides who know where to hunt down fashion in newly-chic arrondissements most travellers haven’t yet discovered, and where to find the best sweet treats, for example.Once, such gems of knowledge were a closely-guarded secret, but now Parisians are turning their insider knowledge into businesses, ferrying visitors around addresses they’d be unlikely to discover for themselves. Even if guided tours don’t appeal, here are six secret Paris treats for those prepared to hop a Metro to less-travelled parts of the city or bag a perch offering a ringside view of the most famous landmark in the world. Restaurants only tell half the story in Paris; street markets and speciality shops sell items you may not see when you sit down to eat. For example, the stuffed shortbread, eclairs, profiteroles and other little cakes which have replaced the cupcake and macarons. 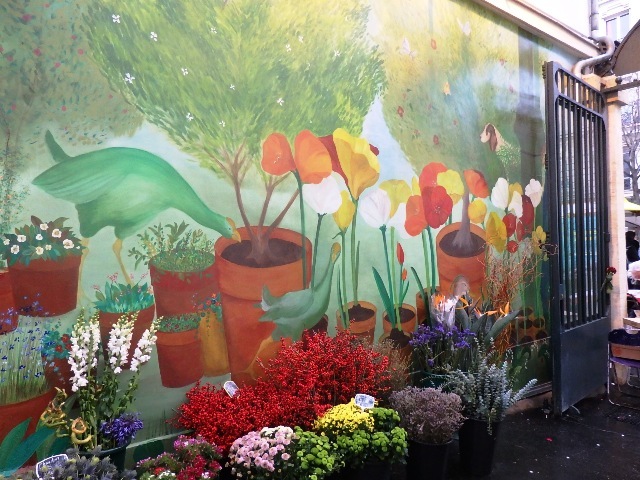 These speciallsts and others are star turns of the Robert Pink Art & Pastry tour of the Marais, a foodie stroll which also takes in the Marche des Enfants Rouges, Paris’s oldest covered market. 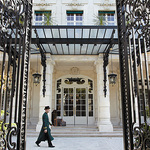 The heftyish fee of €95 includes wine and cheese as well as coffee and pastry stops, so you won’t need lunch. For an open market which needs no guide head for rue de Seine in St Germain, with an oyster-seller and a good greengrocer selling wild mushrooms and fraises des bois in season. There’s also a colourfully-costumed vendor of France’s superb mountain cheeses in front of the excellent boucherie Foll, which can sell you that king of French regional chickens, a poulet de Bresse. There’s no Bresse chicken on the little-known rue Cler further west down the Left Bank, but a great patisserie on the corner of rue Saint-Dominique is the gateway to a Portobello-style display of art deco furniture and other treasures which gives way to other excellent food shops and market restaurants. 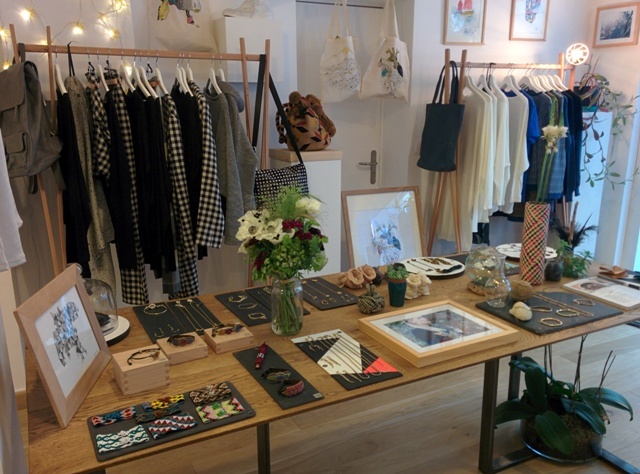 Workshop in Paris offers Responsable, a personal shopper who knows the Canal Saint Martin, which has overtaken the Marais in trendiness, inside out. She helps visitors find flattering outfits and accessorise them in a three-hour tour which also includes coffee and pastry in a charming neighbourhood cafe. A group rate is offered for more than six people, making this a great hen activity – but the tour is only offered on weekdays. 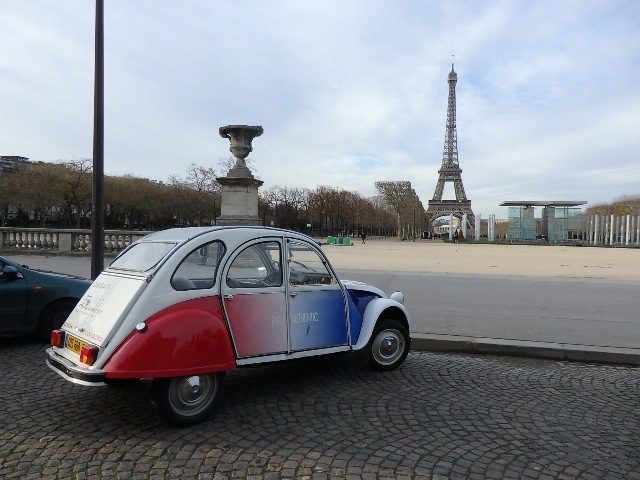 Who’d have thought you could pay to be driven round Paris in that famous French lawnmower on wheels, the Citroen 2CV? In Paris Authentic, a couple of enterprising sightseeing firms have corralled owners of this iconic little car and supplemented their fleet with a few of their own; it makes an entertaining, if slightly hair-raising way to see Paris, especially if they negotiate the famous Etoile roundabout surrounding the Arc de Triomphe! Public transport in Paris is brilliant, but not everyone knows that a “carnet” of 10 tickets is a big saving over individual ones, or that you need only one ticket if travelling by bus in vaguely the same direction for 90 minutes. A less mundane secret is that a portion of Metro line 2(Barbes-Rochechouart to Jaures) still runs overground, this and the overground line 6 in the south offer a thrilling and nostalgic view of Paris neighbourhoods. One of the most sublime experiences in Paris is the early evening chamber music concert given intermittently at La Sainte-Chappelle. This exquisite 13th century Gothic chapel on the Ile de la Cite close to Notre Dame is a feast for the eyes, with its wealth of fabulous stained glass, as well as for the ear with its fine acoustics. The intimate concerts for small audiences always sell out, so book as far ahead as possible. Not a secret, but a little off the beaten track, is the Paris Philharmonic out at the eastern end of the Metro by Porte de Pantin. 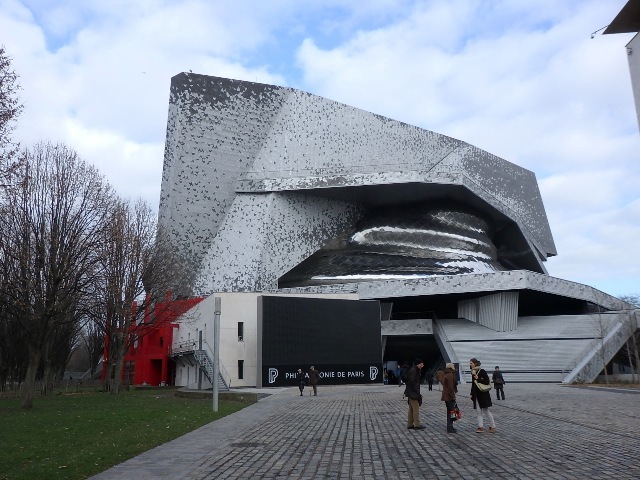 Jean Nouvel’s magnificent silver-clad building, which looks like an elegantly folded piece of foiil, contains not just a concert hall but a ground-floor exhibition space taking art with a connection to music as its theme. 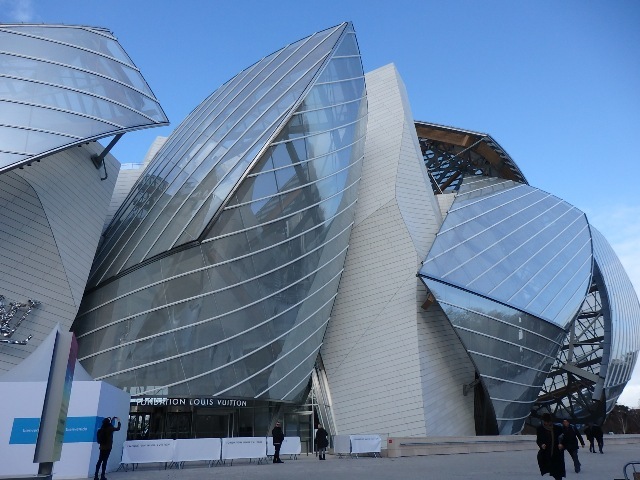 Frank Gehry’s iconic buildings are landmarks in Bilbao and Los Angeles, but you’ll have to leave the Paris city limits to see his magnificent set of transparent sails which look ready to take flight in Neuilly’s Parc d’Acclimation. However, getting there is much easier than you might imagine – head for Etoile and take the €1 electric shuttle bus in the shadow of the Arc de Triomphe; it runs every 15 minutes and takes less than 10 to make the journey. 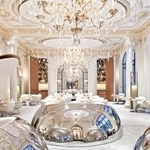 Paris also has wonderful examples of Belle Epoque and art deco architecture seen to best effect in the city’s iconic brasseries. 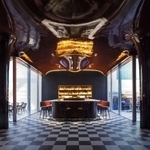 Many of these have been exquisitely preserved by the Flo group; check out Julien and Vaudeville for art nouveau flourishes and La Coupole in Montparnasse, recently restored to art deco glory which evokes the feel of a transatlantic liner in its 1920’s heydays. Nothing quite beats sleeping with a view of the Eiffel Tower, not just from your hotel room but your actual bed. This is a treat which can be enjoyed from 30 rooms at the Shangri-La Paris, formerly the mansion of Napoleon’s great-nephew. Not that he chose to enjoy the view, so hideously avant-garde was the tower considered back in the day. Another ringside view is available from an apartment on the rue de l’Universite offered by One Fine Stay Here, both the master bedroom and a study containing a sofa-bed have fabulous Left Bank views of the tower. Even if you can’t sleep with the tower in your face, do be sure to catch the light show it dispenses for five minutes on the hour after dark. 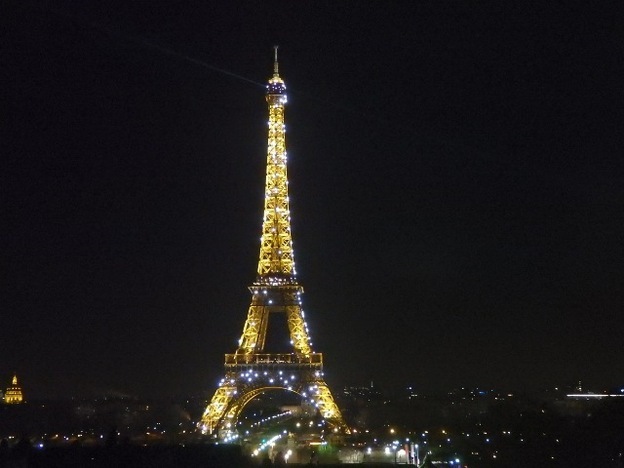 This can be enjoyed from as far away as the Pompidou Centre, which is open nightly till 10pm, and offers thrilling views from the highest floors. Or to get really close up and personal, head for the Cafe de l’Homme on the ground floor of the museum complex within the hilltop Palais de Chaillot. 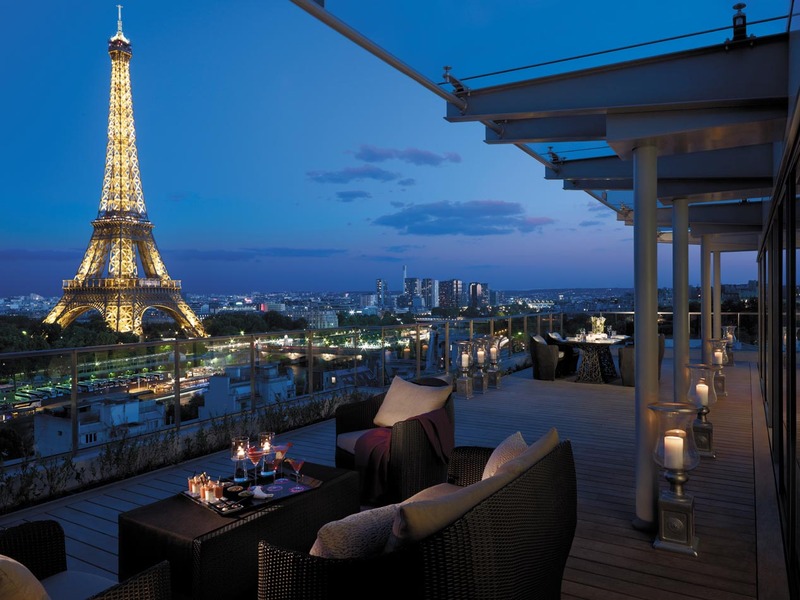 It’s co-owned by Coco Couperie-Eiffel, whose great-great-grandpa actually built the monument, and comes into its own in summer, when the terrace is a special evening delight. Eurostar runs frequent daily services to Paris from London, Ebbsfleet and Ashford from £29 one way.